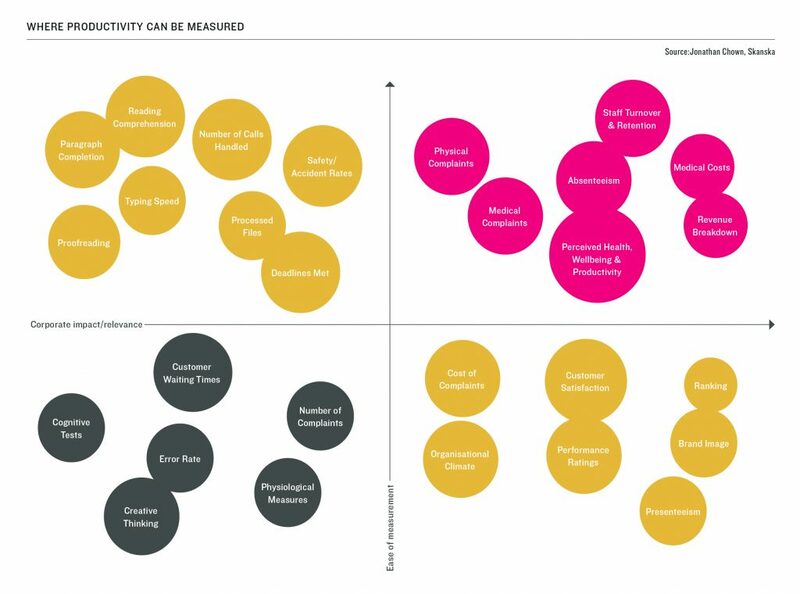 At the heart of The Stoddart Review is a conversation about the link between a well-designed workplace and productivity in the UK. But why is it important? “Small rises in productivity are far from trivial,” says the economist Duncan Weldon, former economics correspondent of BBC Newsnight. And the evidence that the workplace could contribute to a rise in productivity is right in front of us. Only one in two employees agree their workplace helps them to be productive. Do offices enable employee productivity? 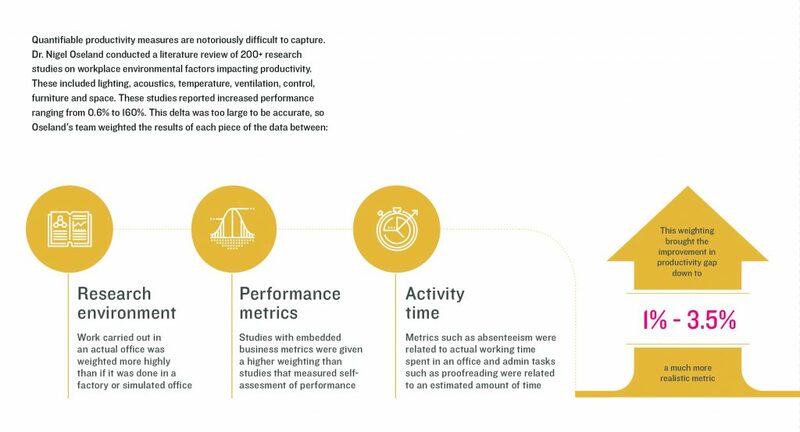 Based on Leesman Index measured workplaces with the percentage of employees who agree that ‘their workplace enables them to work productively’, an average of only one in two employees agree their workplace enables them to be productive. The gap between the lowest and highest performing workplace. But The Stoddart Review found that businesses often tackle workplace productivity by making the workplace more efficient, not the people. Typically they carry out utilisation studies and look to increase workplace occupant density. These projects confuse spatial efficiency with productivity, according to our investigations. Getting it right can deliver a dividend. Dr Nigel Oseland conducted a literature review of 200+ research studies on lighting, acoustics, temperature, ventilation, control, furniture and space and concluded that the workplace could deliver a productivity boost of between 1 and 3.5 per cent. Taking together the work of Oseland and Duncan Weldon’s view of productivity, the office could be the key to an uptick of between £20 billion and £70 billion. And if 53% of our employees are telling us that workplace has a role to play, can we continue to ignore them? Q: You appraise your people at least annually. How often do you appraise whether your workplace is fit for purpose?